Situated in a region named Visayas in the Philippines, Cebu is surrounded by more than 160 smaller islands. It is one of the most populated provinces in the region, with more than 2.6 million residents. The count excludes three of its urbanised cities – Cebu City capital, Lapu-Lapu City and Mandaue City. While people in different parts of Cebu primarily speak their own local dialects, most of them are also good English speakers. The Mactan Cebu International Airport is about an hour flight away from the capital of the Philippines, Manila. Travellers may want to take note that 6 August is an annual celebration of Cebu’s independence and a public holiday, so some shops and services may not be available. If you are staying in Cebu for a while or thinking of moving there, remember to pack the right things for the climate. Rainfalls are frequent in Cebu, especially during the monsoon season from June to October so do get your ponchos and water resistant shoes in your suitcase. Before you think about your furry coats and tight clothing, you should know that Cebu also has a high humidity and temperatures can go up to 33°C in May! Even in January, the coolest month, it is just a comfortable 23°C. Lastly, beachwear is a must, as you would have guessed from the abundance of outdoor activities described below. The locals love their beaches and you will, too! In fact, every Sunday is their unofficial beach day so you can expect quite a crowd. Good news is, there are so many beaches that you can be sure to find one to your liking. To maximize your stay, you are strongly recommended to join one of the island-hopping tours to explore the vicinity as well. Here are some islands, fun water activities and scenic beaches to look out for. The Mactan Island, which is connected to the mainland Cebu by two bridges, is a commercialized and cosmopolitan city for travellers to enjoy some high-end comforts. There are many dining and spa options at the resorts to choose from. At the beaches, you can also knock yourself out engaging in water sports – jet-skiing, parasailing, windsurfing, snorkelling and more! The most beautiful beach with see-through aqua waters and soft white sand will undoubtedly go to the Bantayan Island. The Malapascua Island, meanwhile, is a divers’ favourite for opportunities to get up close with thresher sharks. To escape the hustle and bustle, experience real tropical island life at the Camotes Islands. You can hire a motorbike and hop from Santiago Bay to the Bakhaw Beach. Put attractions such as the Lake Danao, Panganuron Falls and island caves down on your checklist. A lesser-known secret is the Badian Island. While the beach may not be breath-taking, couples can enjoy some private time together and visit the waterfalls there. 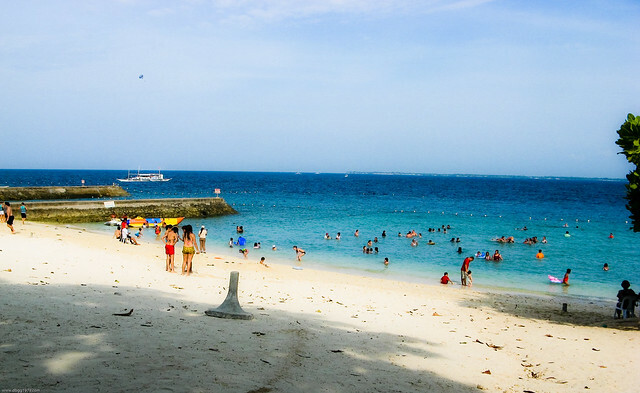 Another popular spot is Bohol, where the white-sand Alona Beach sits. While it is not strictly a part of Cebu, the island is only a short boat ride away. You can spend an entire day there enjoying lunch on a Loboc River boat cruise, watching the dolphins and exploring the famous Chocolate Hills! The coral deposits, which have formed over a millennia of erosion, has created the brown-tipped hill. You can also visit the world’s smallest monkey at the Philippines Tarsier Foundation there. 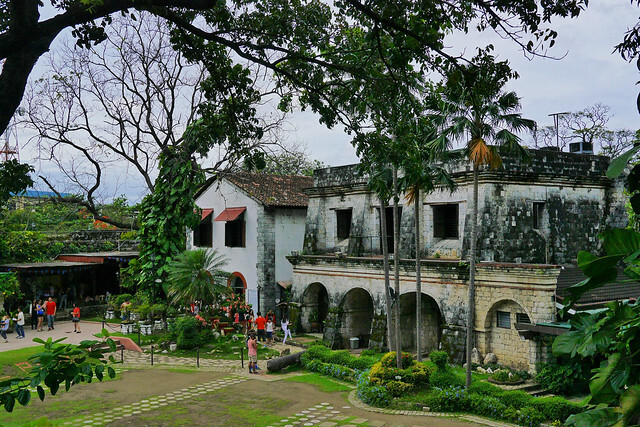 Beside the popular dating hang-out, Plaza Independencia Park, is the country’s oldest fort. The Fort San Pedro in Cebu City was built in 1565 during the Spanish occupation for military defence. Over the years, it was converted to serve as army barracks, school, refugee camps, rebel prison and more. Restored recently after an earthquake, it is now accompanied by a museum and small garden. Most of Cebu locals are Christian devotees. 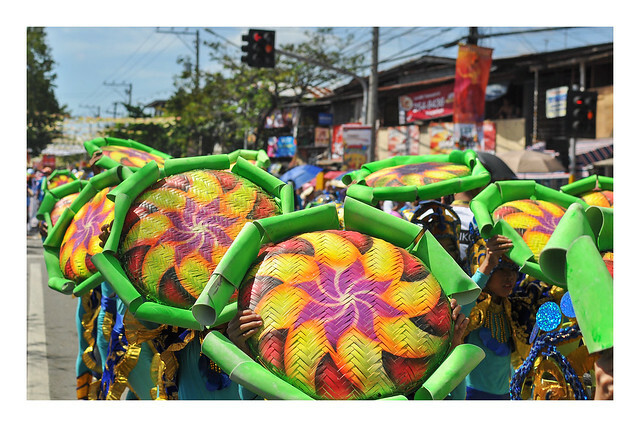 Their biggest event all year is the Sinulog Festival on the third Sunday of January. The colourful street festival celebrates Jesus and involves religious parades. Filled with dancing, live music and fireworks, it is a truly eye-opening experience for tourists. History fans can also view the oldest Catholic relic, an image of the Holy Child of Jesus, at the Basilica Minore Del Santo Niño in Cebu City. The item was given to King Humabon and Queen Juana by the famous Portuguese explorer, Ferdinand Magellan as a gift during their Roman Catholic baptism in April, 1521. For shopping, head over to Carbon Market, Cebu’s largest wet market. Find some cheap souvenirs or buy some fresh produce from the farmers! For apparels, you will be spoilt for choices at Tabo sa Banay at Manalili Street in Cebu City. If you prefer not to break a sweat, there is the air-conditioned SM Seaside City Cebu, which one of the largest shopping malls in the world. 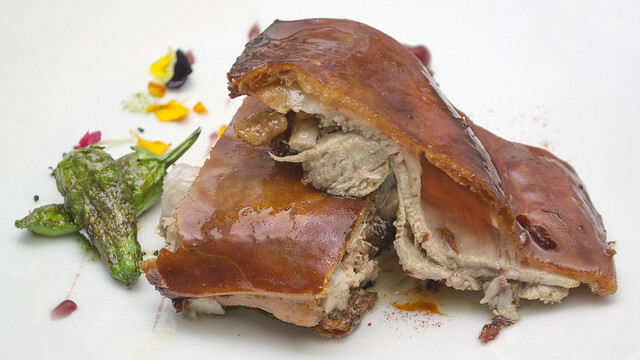 No visit to Cebu is complete without a taste of lechon, a Spanish term for roasted suckling pig. Many locals and tourists have sworn by Zubuchon’s lechon, where a wide variety of pork dishes and excellent sides are sold. For desserts, grab some of the highly-raved brownie cups from La Marea, which comes in a wide assortment of flavours. Located at I.T Park, one of the trendiest spots in Cebu City, it also sells a selection of cakes and pastries. Hungry late at night? No problem. Cebu has an open-air food court, Larsian BBQ, that is opened 24/7. Living up to its name, it sells grilled skewered meat and seafood by the sticks. Cheap and gratifying – the best of both worlds. For more information about the Philippines, visit ExpatFinder.com.